A second safety breach in less than a month from the Ranger uranium mine in the Northern Territory has angered Traditional owners of Kakadu National Park. 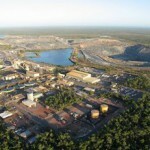 Four uranium storage barrels were discovered in bushland near Darwin on Monday, sparking outrage from the Mirrar people. 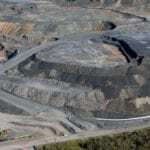 According to News.com, the barrels had been there for some time, and an inspection by the Northern Territory Department of Health and Ranger mine’s operator Energy Resources of Australia (ERA) detected no radioactive material. The incident comes two weeks after a vehicle left the mine’s controlled areas before it was stopped by Ranger security personnel, prompting fears that the mine’s radiation plan is failing. Mirrar spokesperson Justin O'Brien called on the company to implement tougher regulations. "To us it's a no-brainer," O'Brien told AAP. "If you can steal a controlled vehicle coming from a contaminated part of the mine through a hole in the fence, if you can remove drums of the type used to store (uranium oxide) and store them in a public area outside Darwin, and both of these things occur under the nose and without the knowledge of the mining company, then you've got a problem,"
The relationship with the Mirrar people is crucial if ERA want permission to re-establish mining at the site. 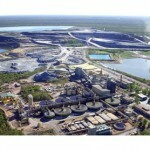 Open-cut mining at Ranger ceased late last year, with the company now looking to establish an underground mine. But O'Brien said incidents like this would make it hard for the Mirrar people to support further mining operations. "It's profoundly disappointing that this comes at a time when we have on the table proposals for further mining at Ranger," O'Brien said. "Our relationship with the mining company generally has been improving in recent years… And yet this sort of Keystone Cops regulation about a major uranium operation keeps recurring. "It doesn't augur well for our consideration of further mining." O’Brien is calling for the Federal government to step in to ensure potentially harmful incidents stop occurring as a result of the uranium operation. "In recognition of public safety… the Australian government (should) play a strong regulatory investigative role, and by default some sort of mediation role between us and the company," he said.